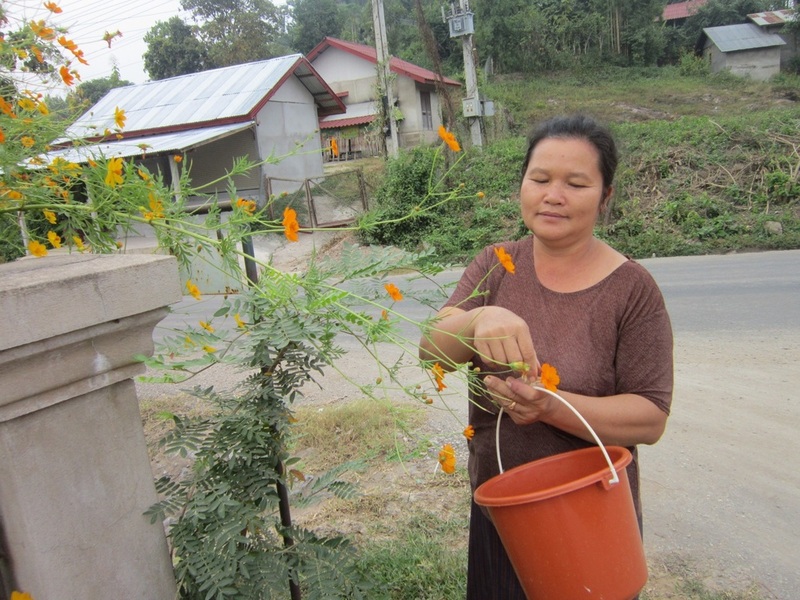 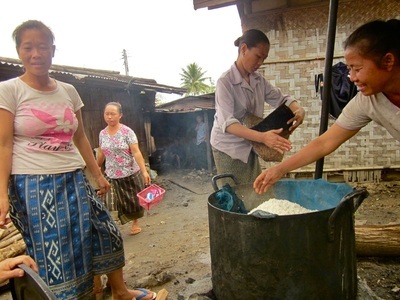 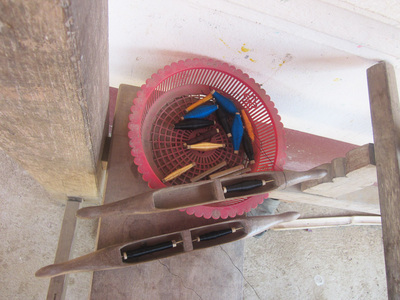 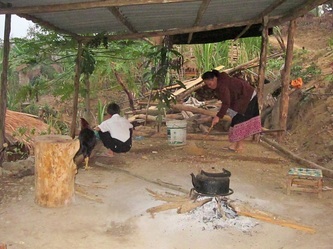 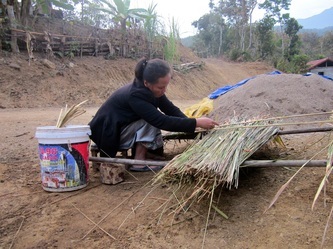 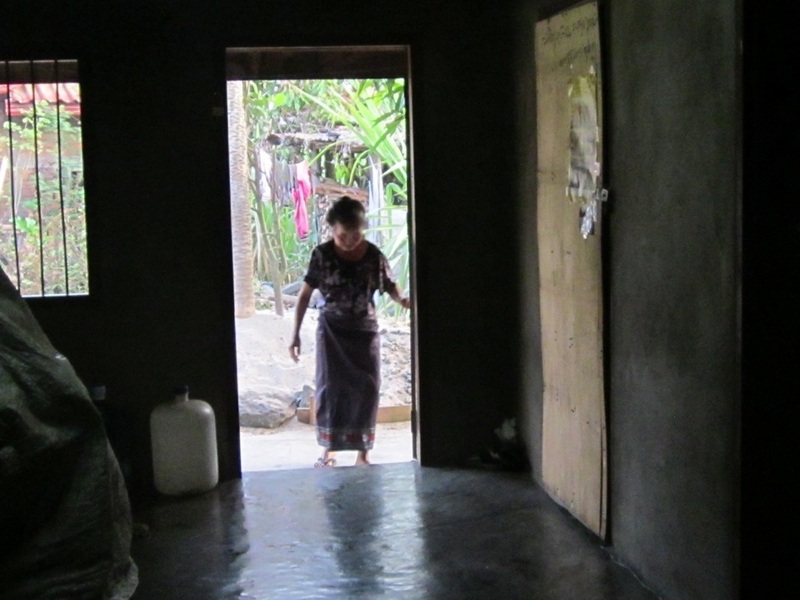 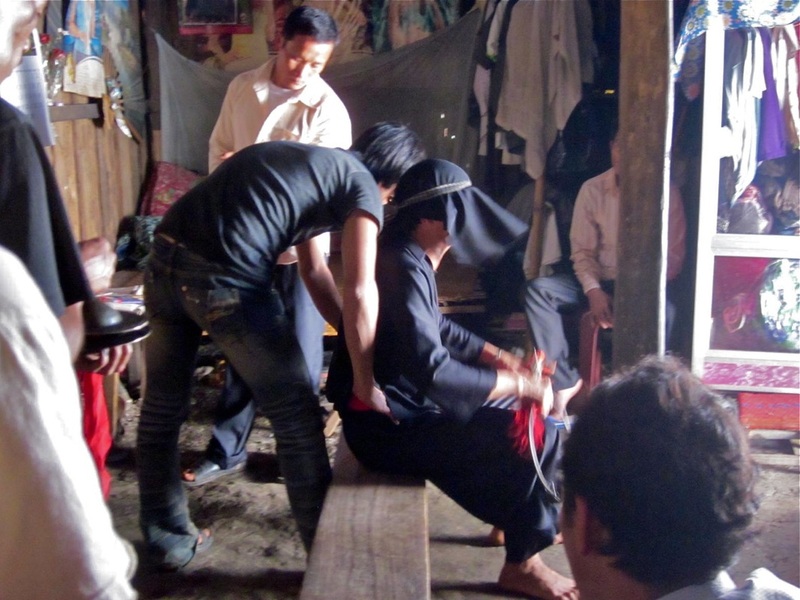 The researchers­‐in­‐training came together to further develop their skills and interview techniques and set out in their own communities to document the varied and changing roles of women in Lao society. Although the participants come from a variety of economic and cultural backgrounds they all share the excitement of having the tools and training to explore their traditions and share their stories. 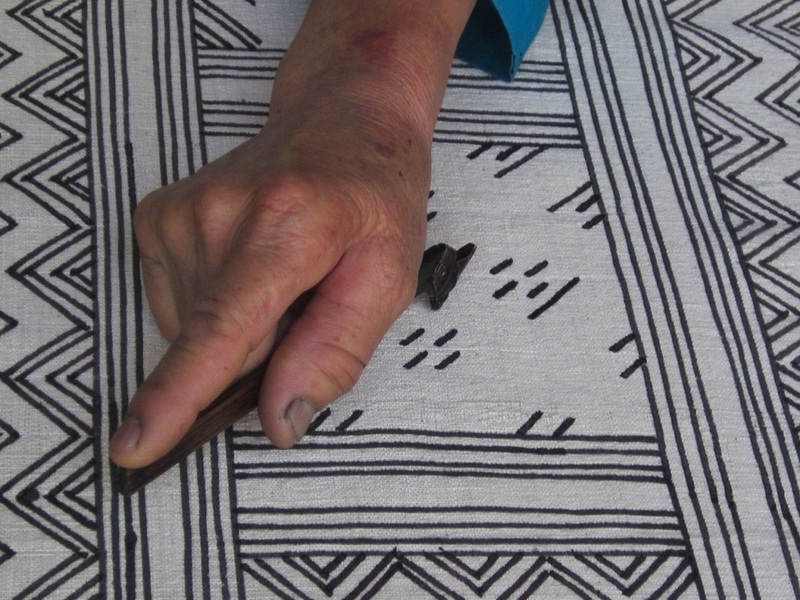 Their research topics have ranged from traditional medicine, Tai Lue weavers, and parenting to Hmong shamans, textile artists, and paper-making. 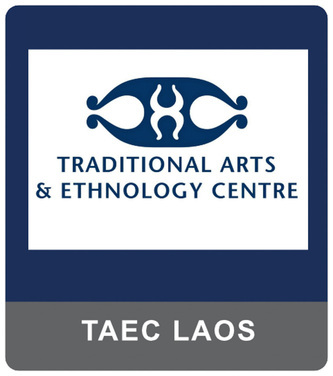 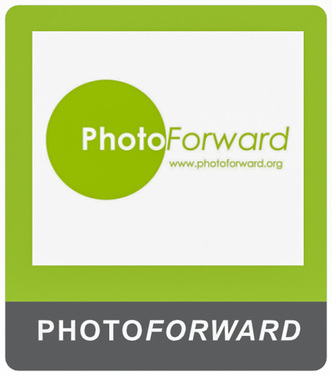 Upon completion of the training program, participants become Community Researchers for TAEC and youth participants are eligible for an internship position at the museum. 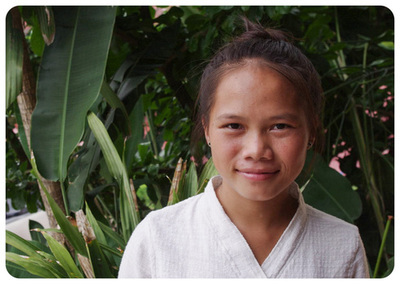 "I sell handicrafts at the night market, and I live in Ma Village, Luang Prabang. 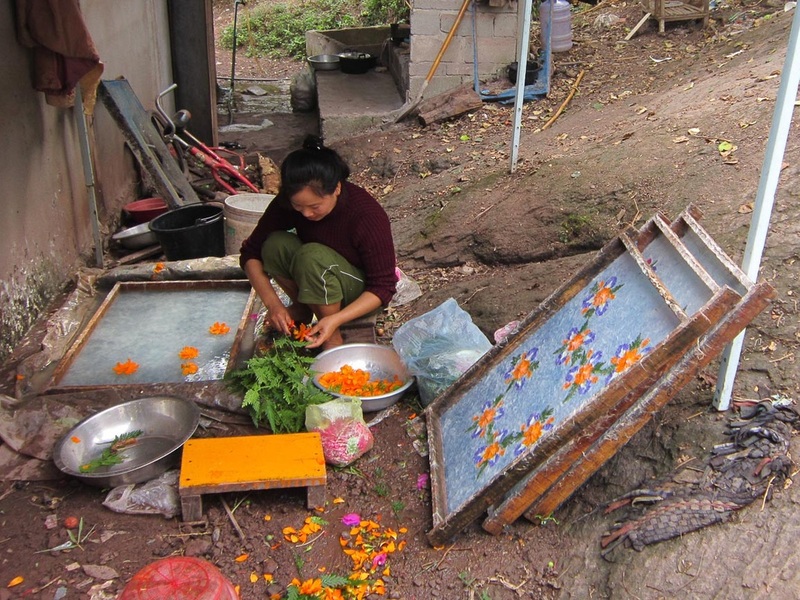 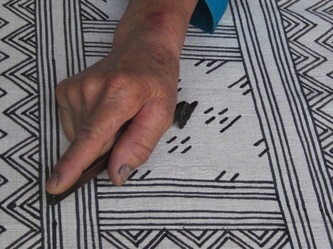 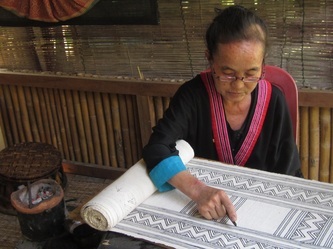 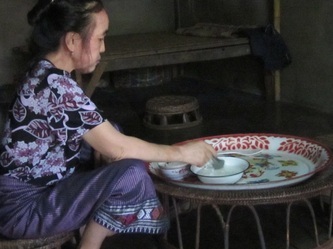 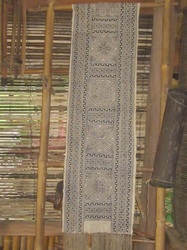 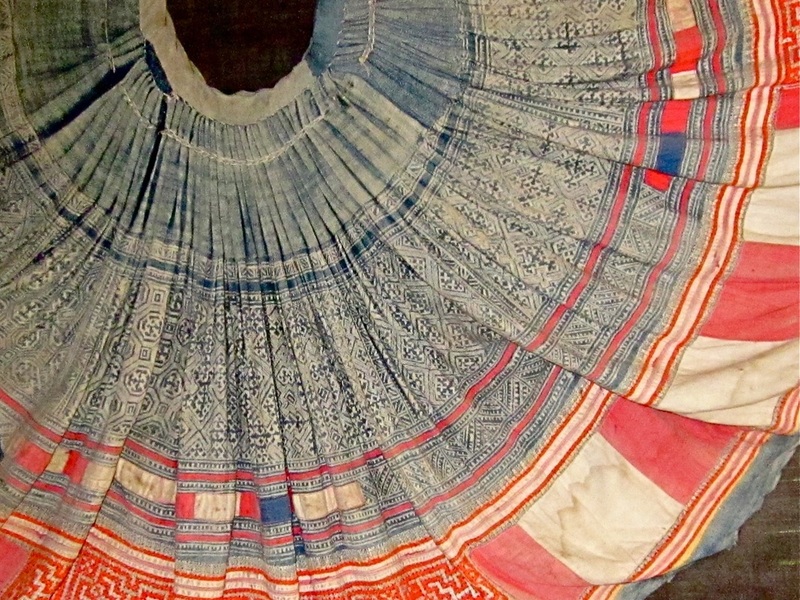 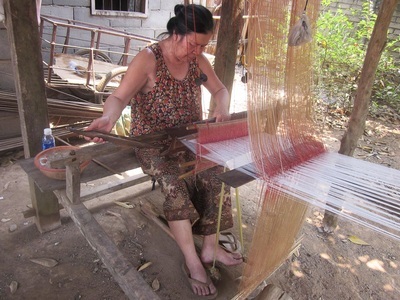 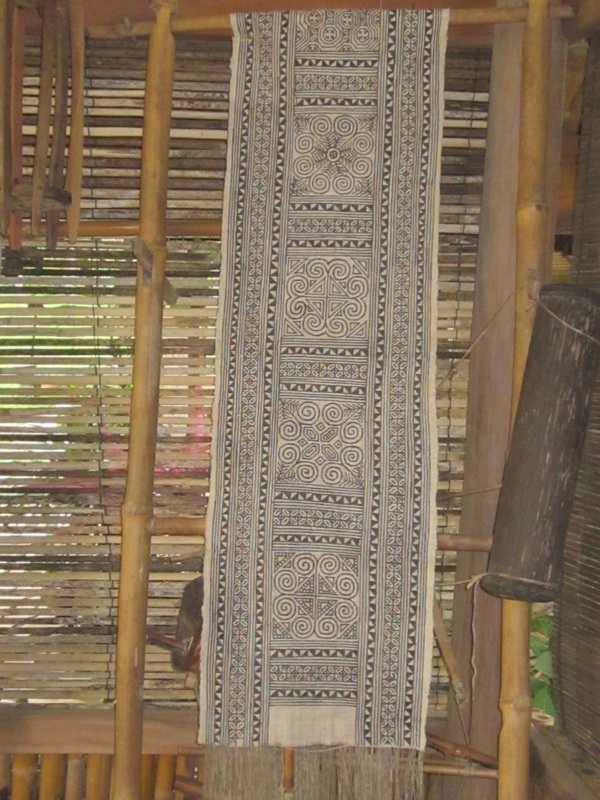 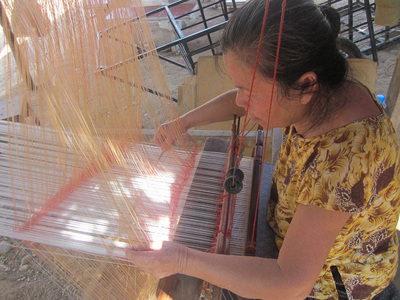 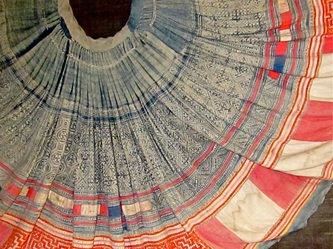 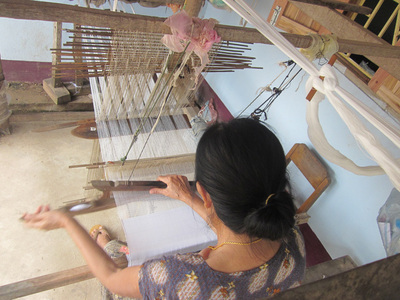 The subject of my research is Ms. Xue Xiong from Nasamphan, Luang Prabang, who is an expert in traditional Hmong batik. 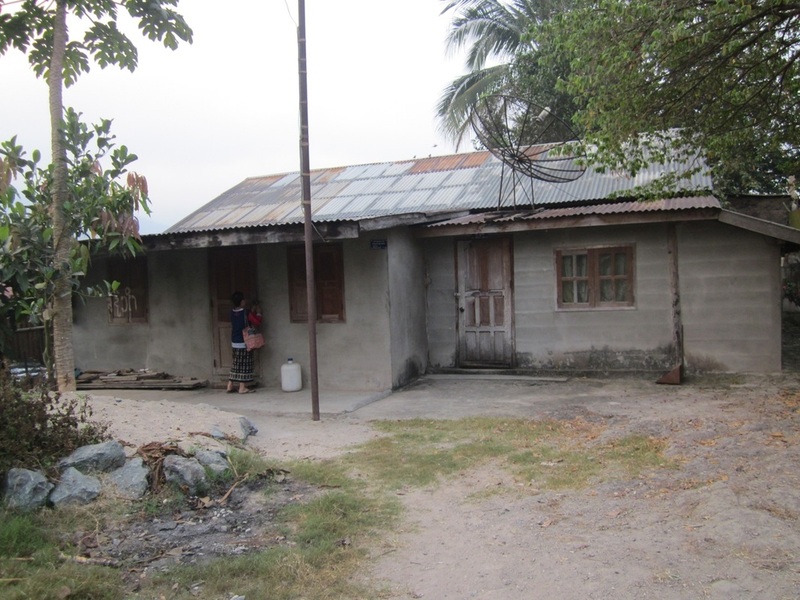 I have learned many things since we started this project, and I am very happy and proud to be part of it. 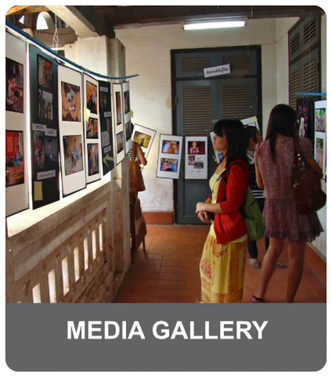 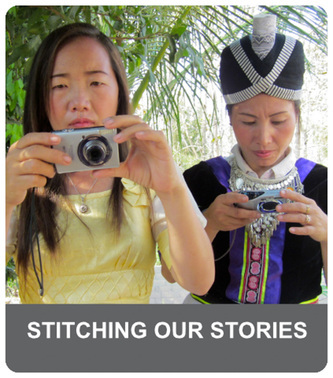 I hope my work will make people more interested in Lao and Hmong culture." 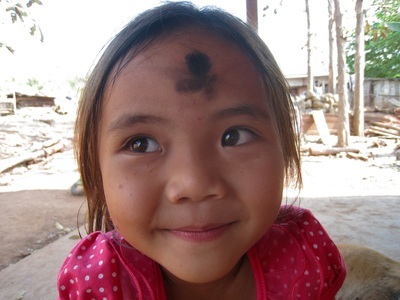 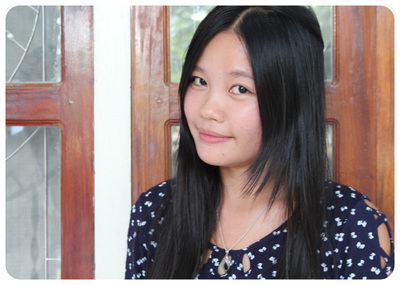 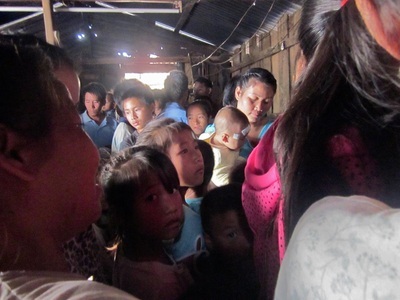 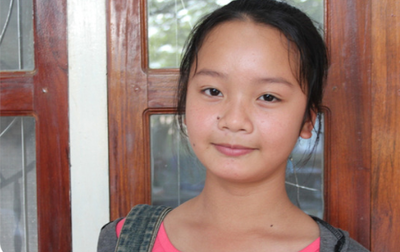 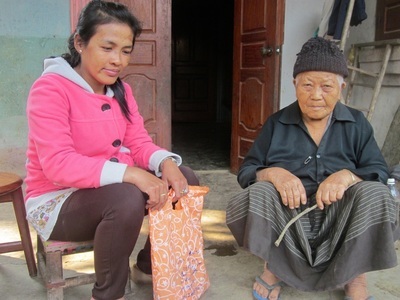 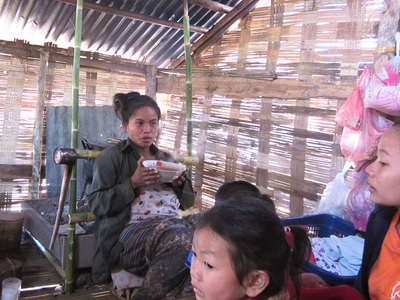 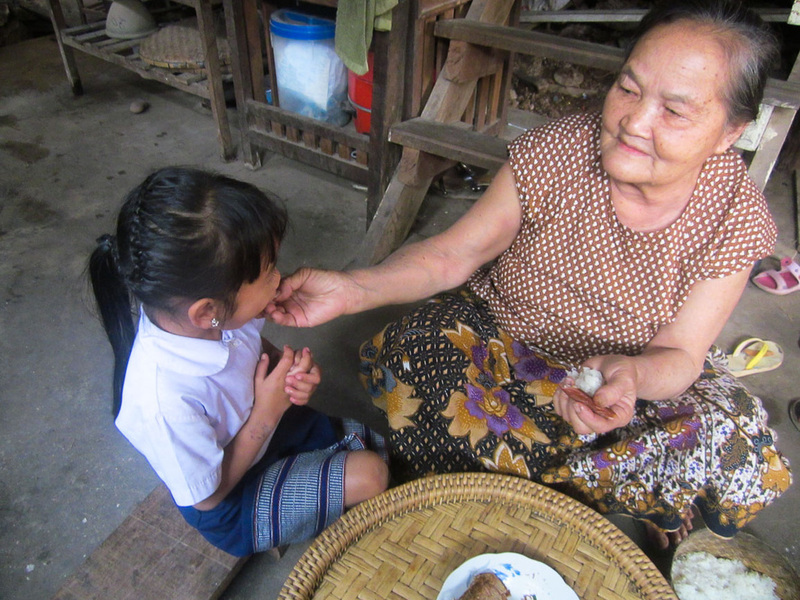 "I am a university student, and I live with my family in Ban Phanom in Luang Prabang, Laos. 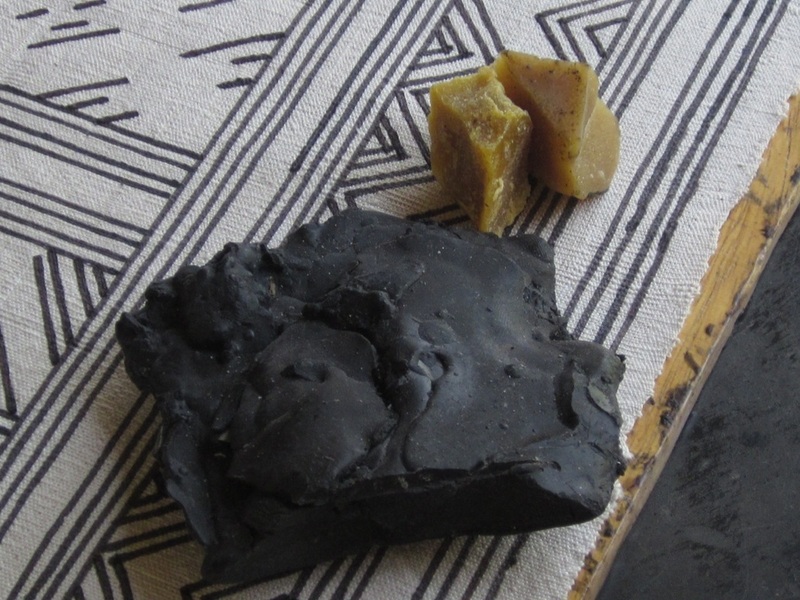 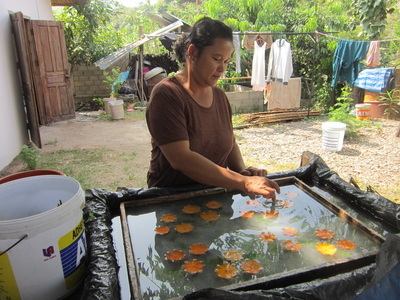 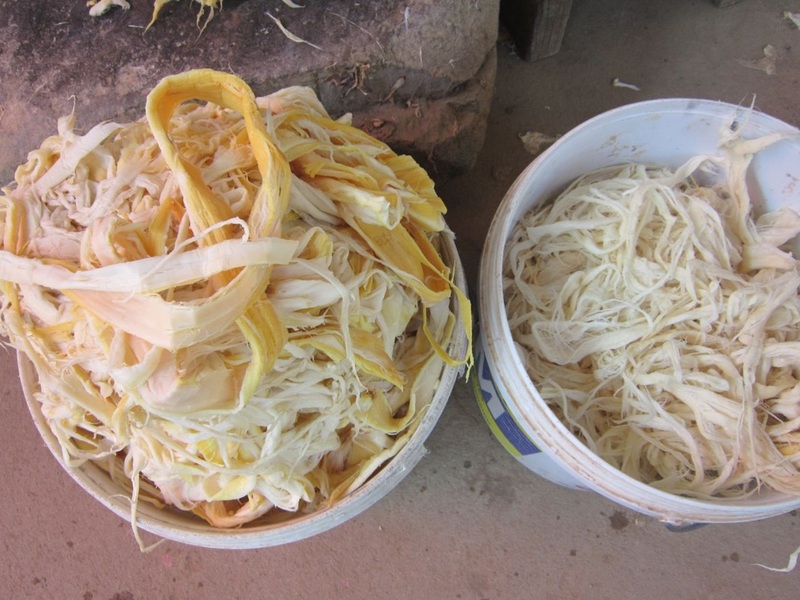 I chose to research saa paper making traditions because my family makes and sells paper handicrafts at the night market and this craft plays an important role in our community. 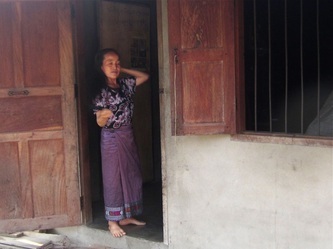 After my dad died 10 years ago, my mom started to make saa paper. Before that, she worked in the rice fields, but when he passed there was no one to help her. 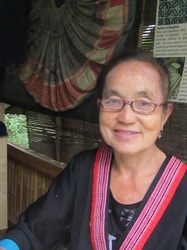 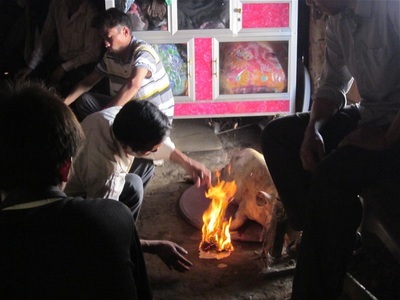 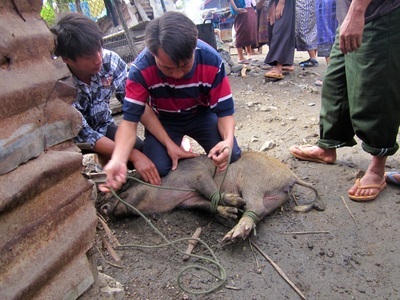 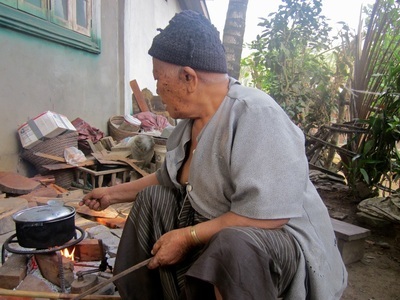 At first she sold to the village, but in 2002, the Night Market opened. 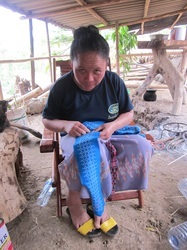 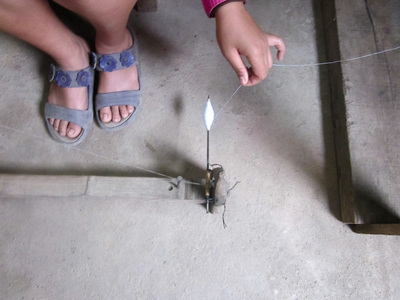 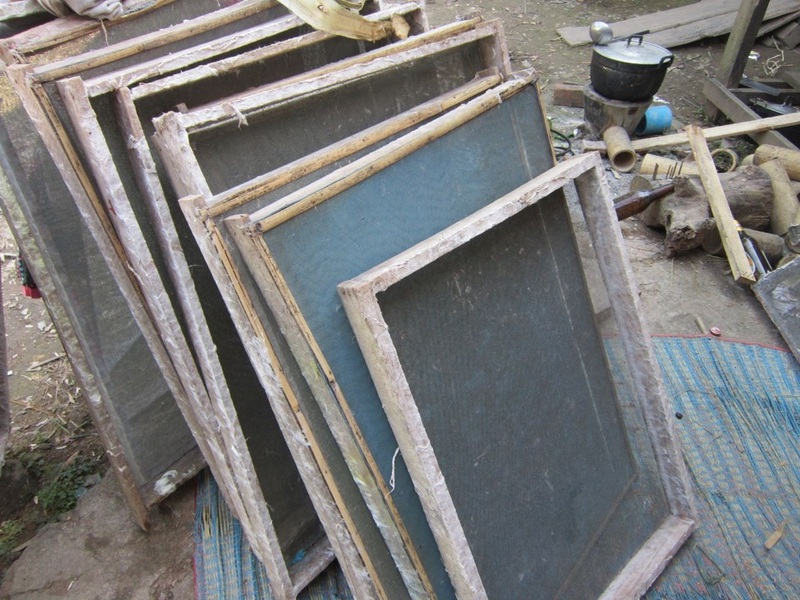 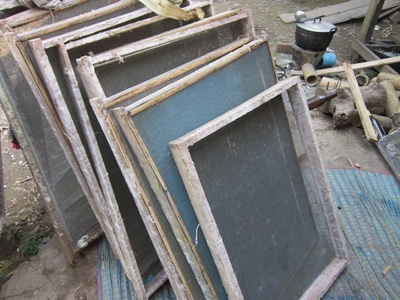 Since then, she has been selling her work at the market and uses the money to send me and my siblings to school." 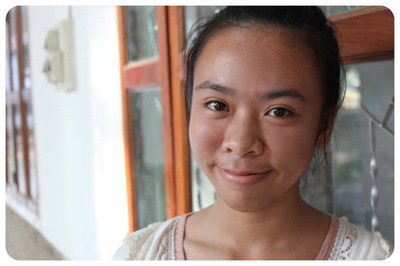 "I am 15 years old and am currently in high school. 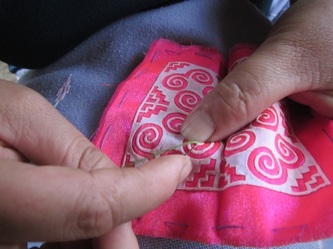 My research subject is my mom, my grandmother and the tradition of embroidery. 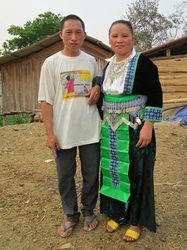 The reason I chose them to be my subjects is because they are very important to me and she have lived interesting lives. 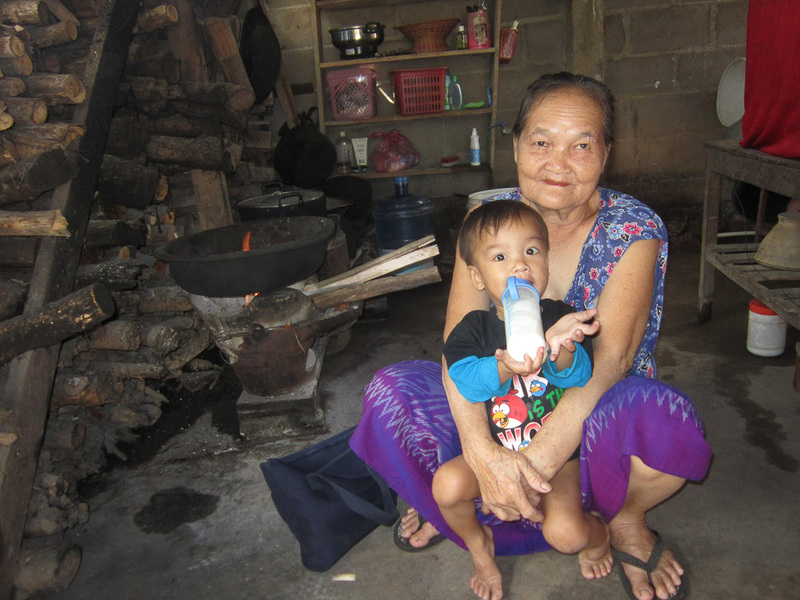 I have learned many things about my mom and grandmother through this project. I especially learned more about my mom's story and how she learned traditional Hmong embroidery. 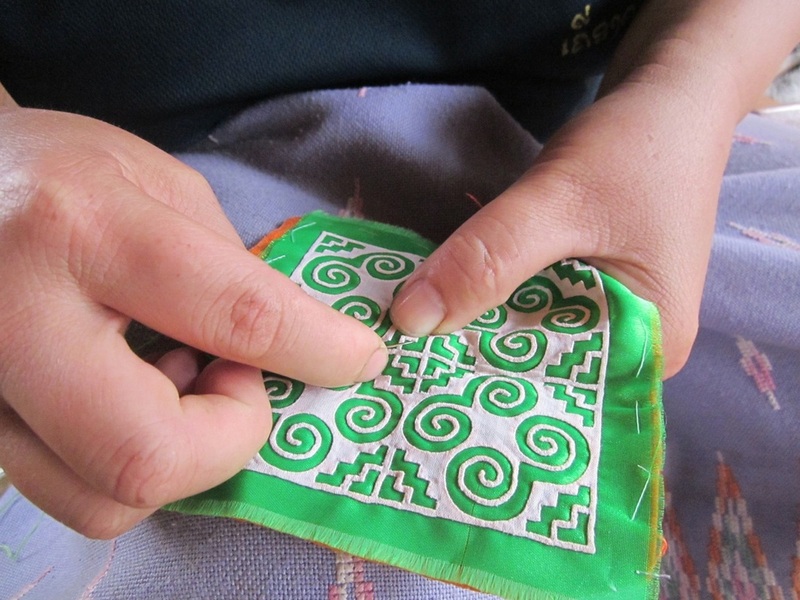 This skill has been transmitted from generation to generation; my great grandmother taught my grandmother and she taught my mom and my mom taught me. 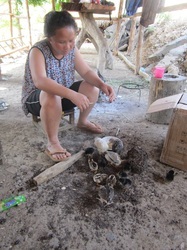 I am going to teach my younger sister too. 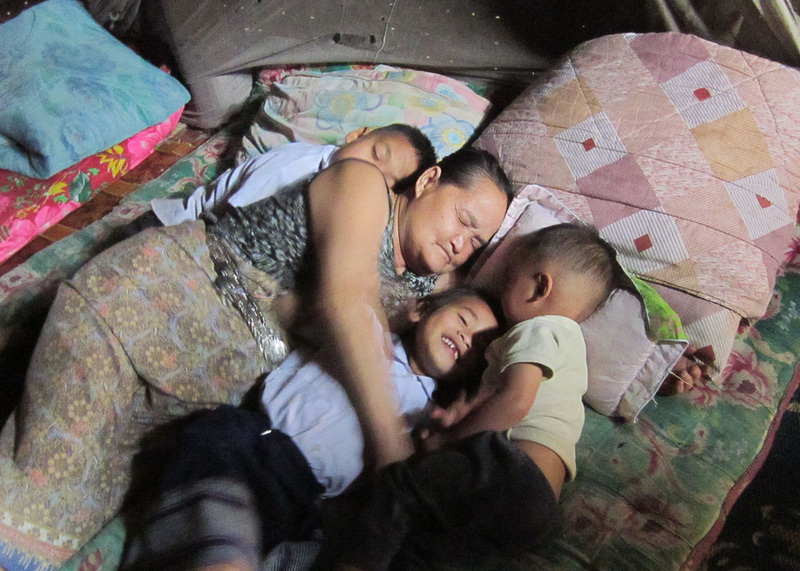 I hope people will learn about my mom’s life and our family. 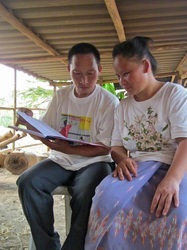 She has taken care of me since I was born, and works hard to send me to study. 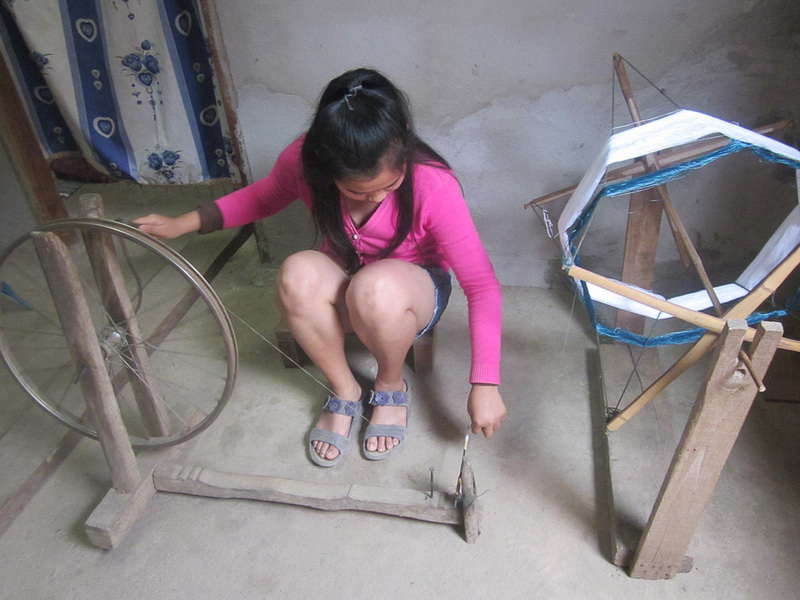 I also hope that my research will make people interested in Hmong culture and want to learn to embroider. 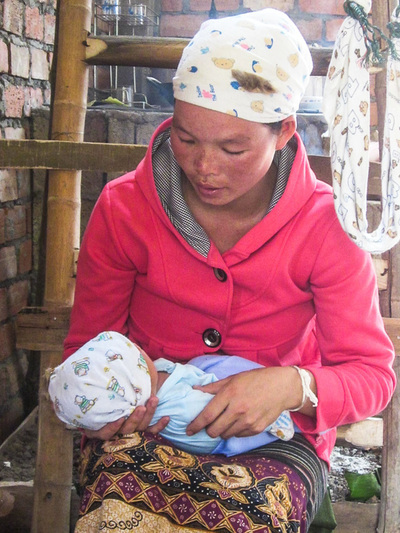 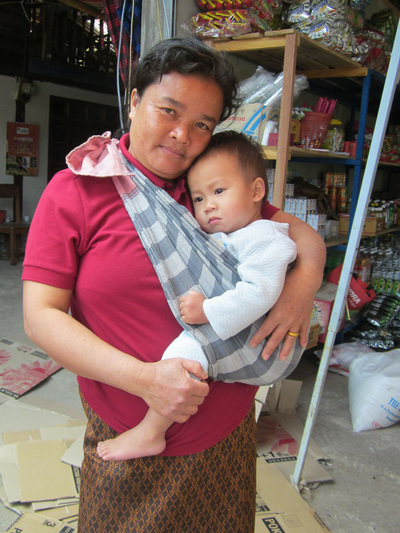 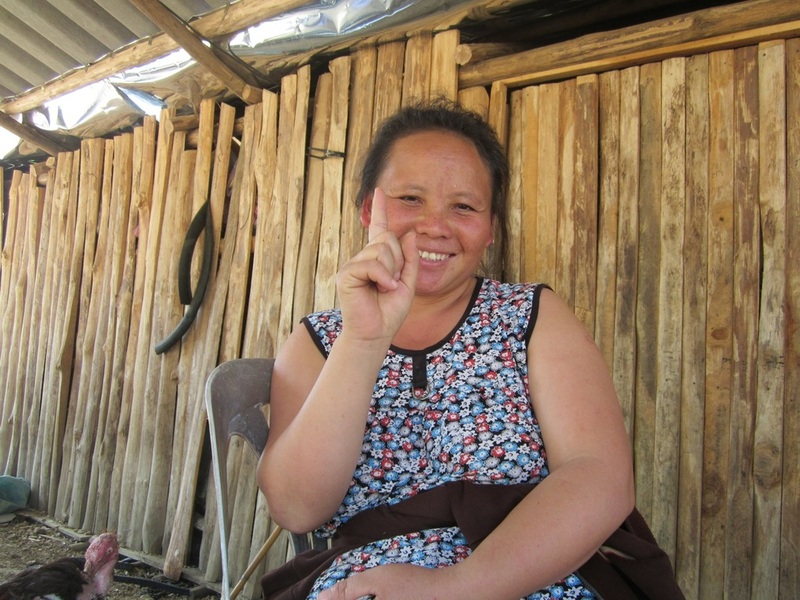 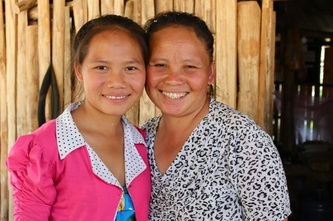 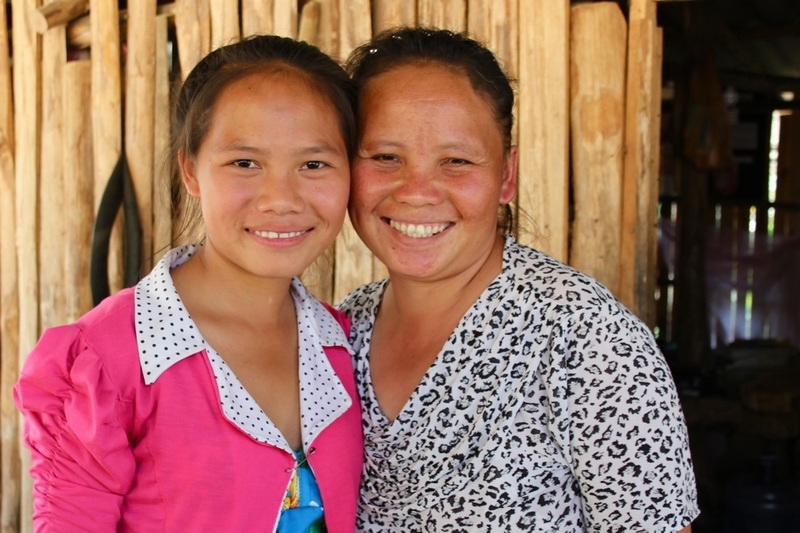 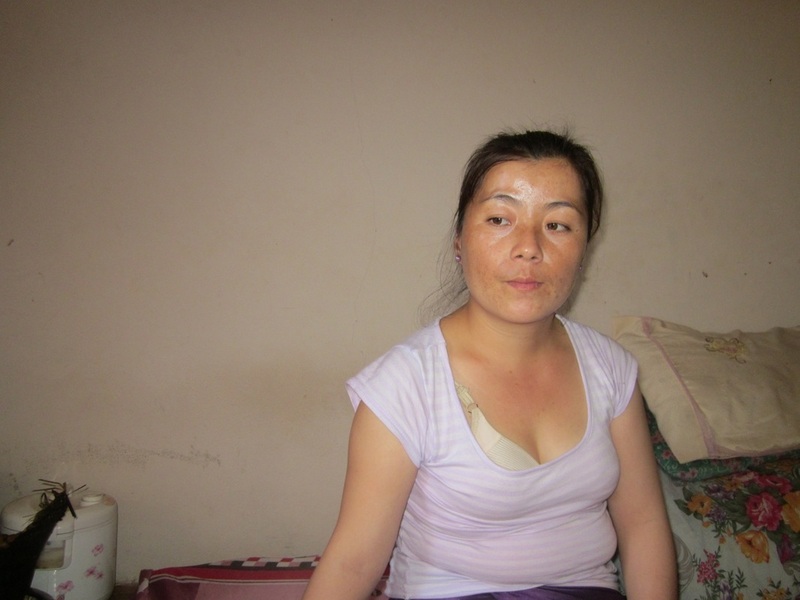 I am very happy to be Hmong and to have such a good mom." 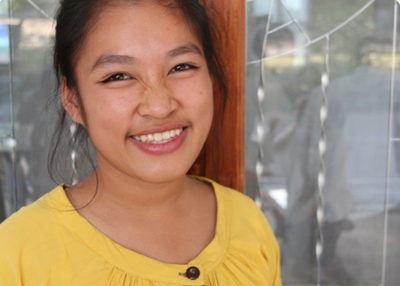 "I am a student at Santiphab high school and a Community Researcher. 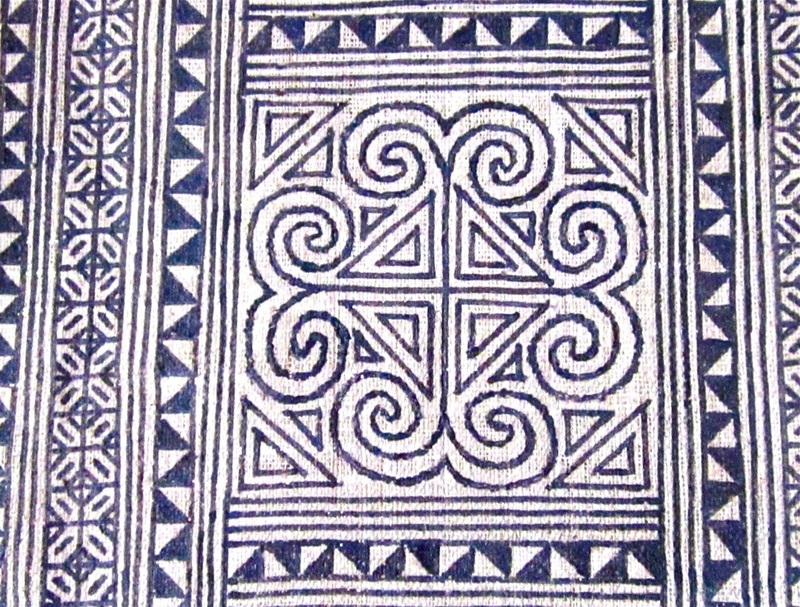 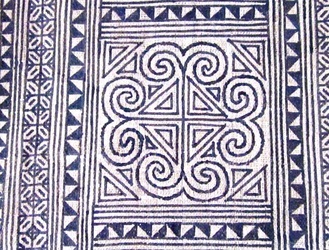 I chose to research Tai Lue weaving because this textile tradition is an important part of our culture that has been passed on through many generations to today. 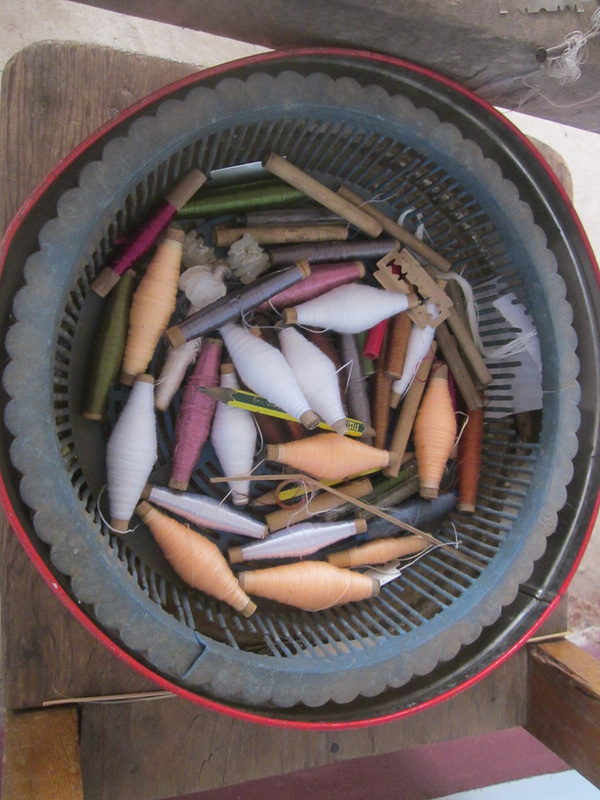 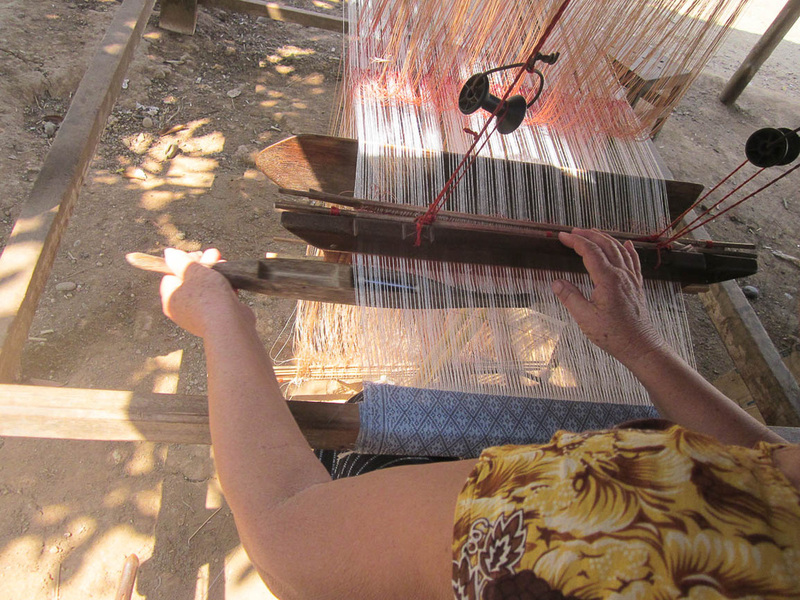 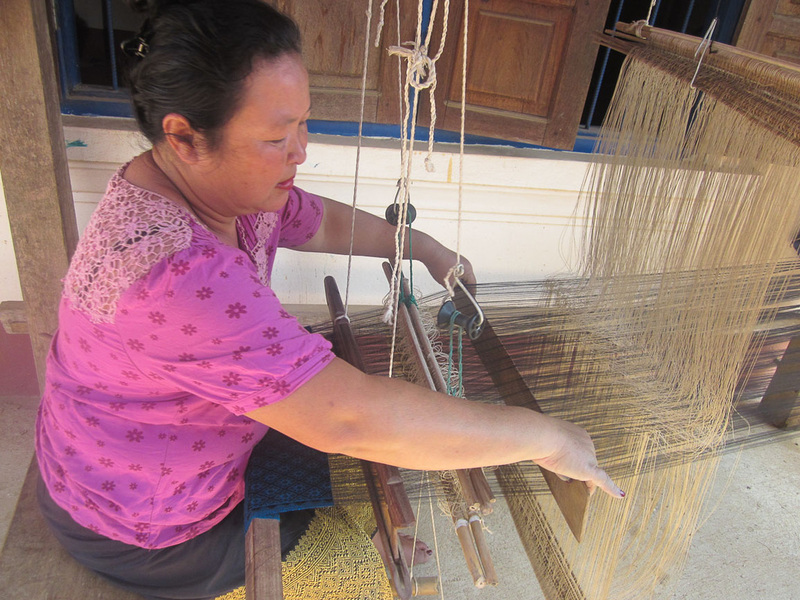 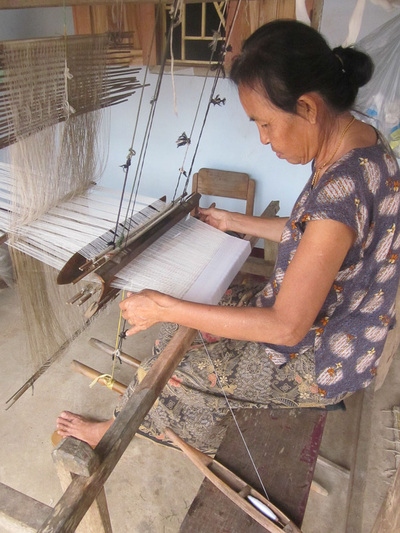 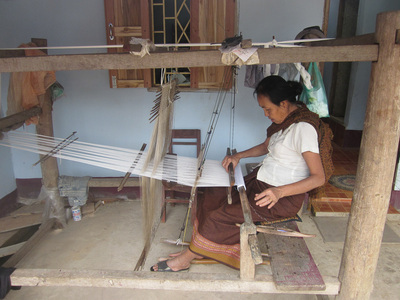 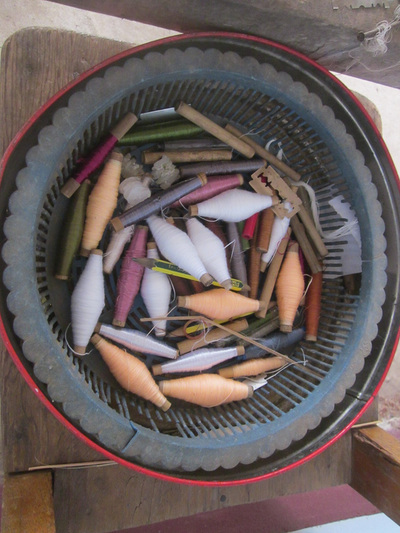 All of the women in my village, Ban Phanom learn and know how to weave, because weaving is a source of income for our families and a valuable part of our ethnic identity. 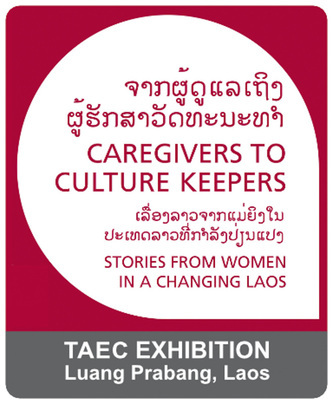 I hope Lao and foreign visitors that come to the exhibition will learn about Tai Lue livelihood, weaving, weaving process such as: spinning cotton, loom weaving process Tai Lue motifs and the women who make these products for the market. 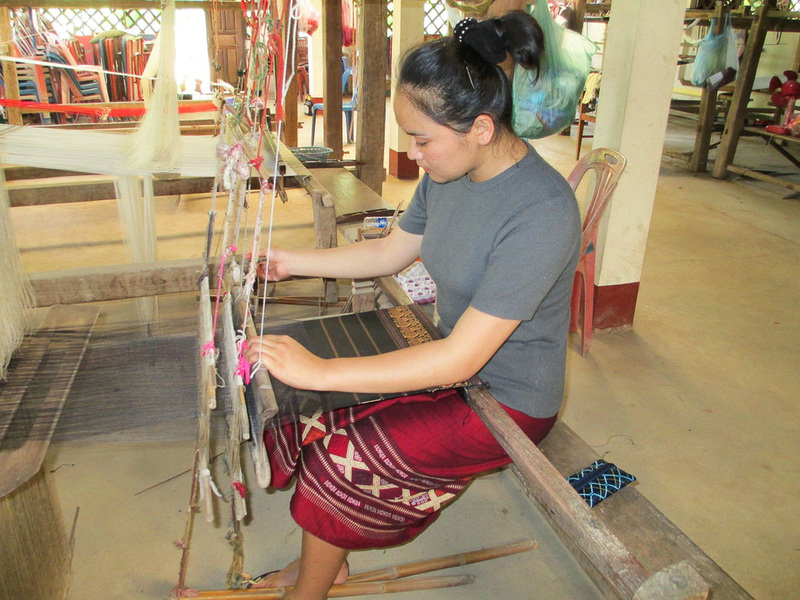 Because I can weave it is my responsibility to pass on my knowledge to the next generation so these skills and traditions will be with us forever." 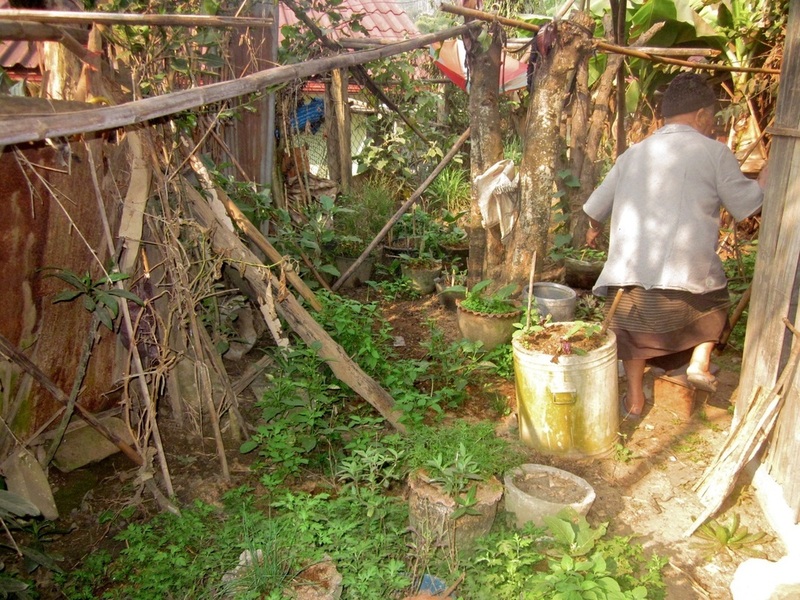 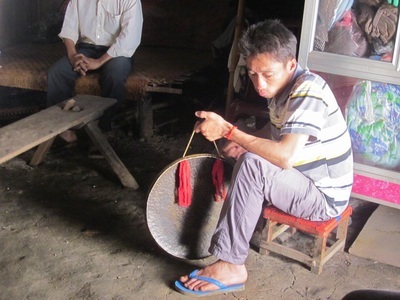 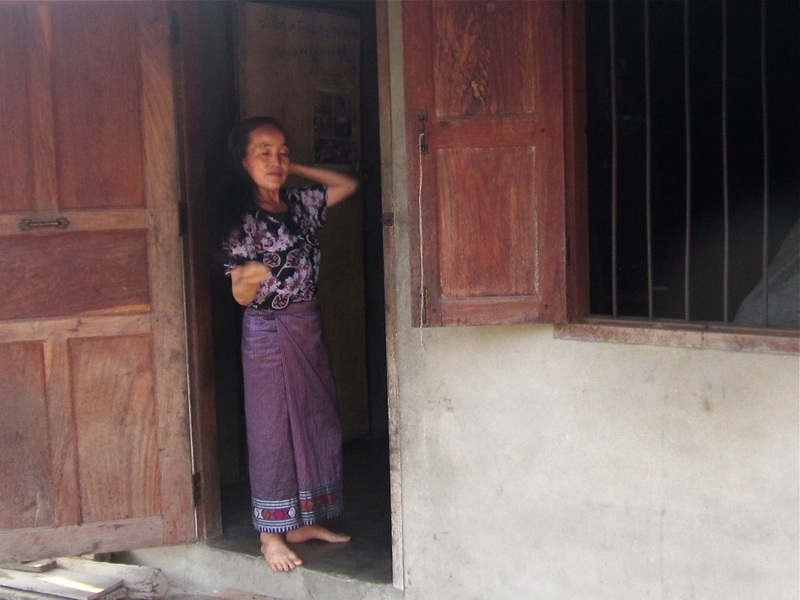 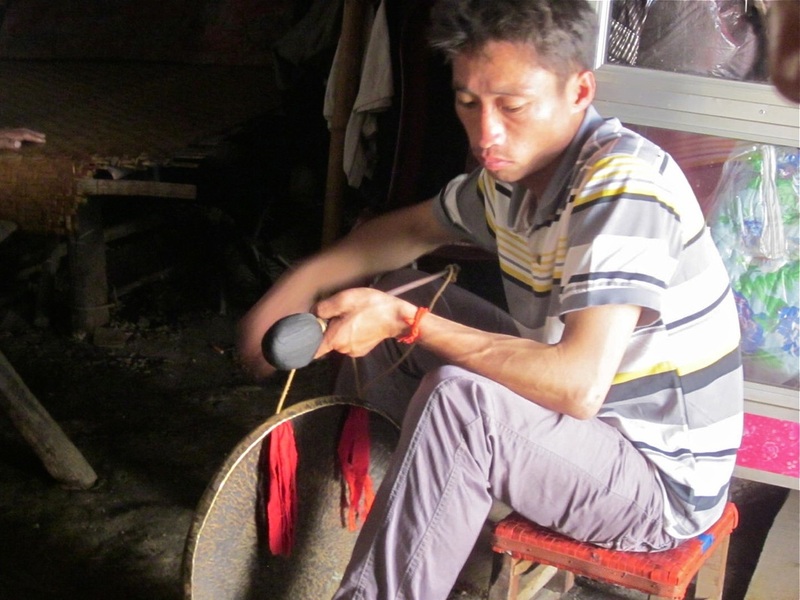 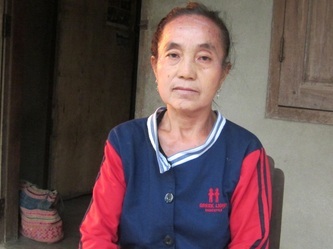 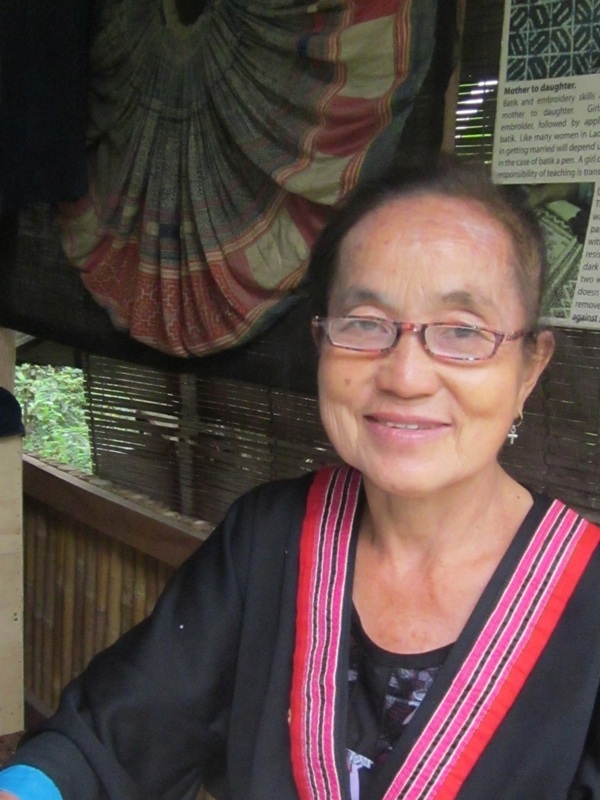 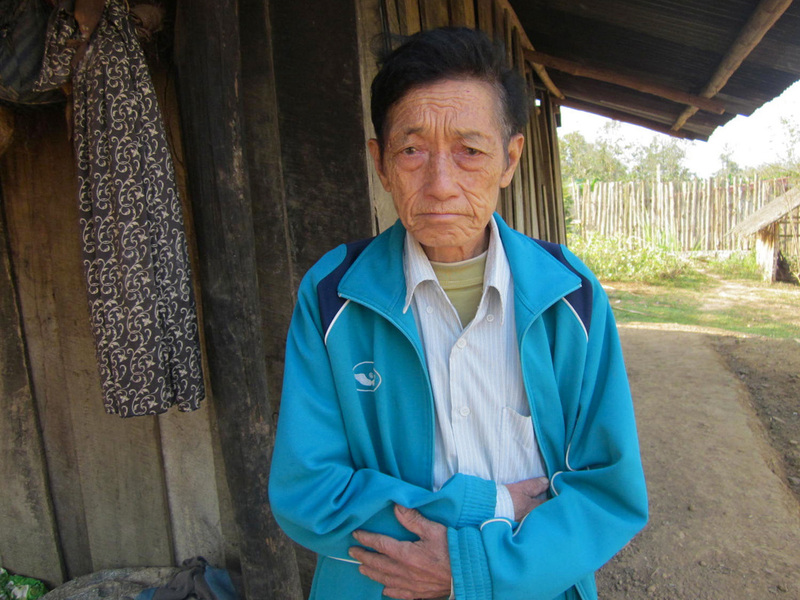 "I sell handicrafts at the night market, and I live at Kuangtinoung village. The subject of my project is a woman who makes traditional Hmong herbal medicine and the importance of this craft in Hmong culture. 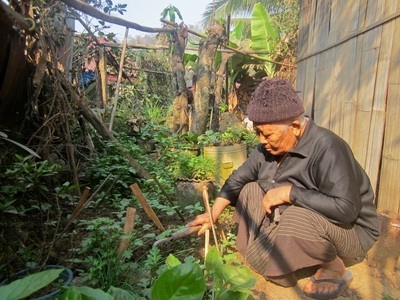 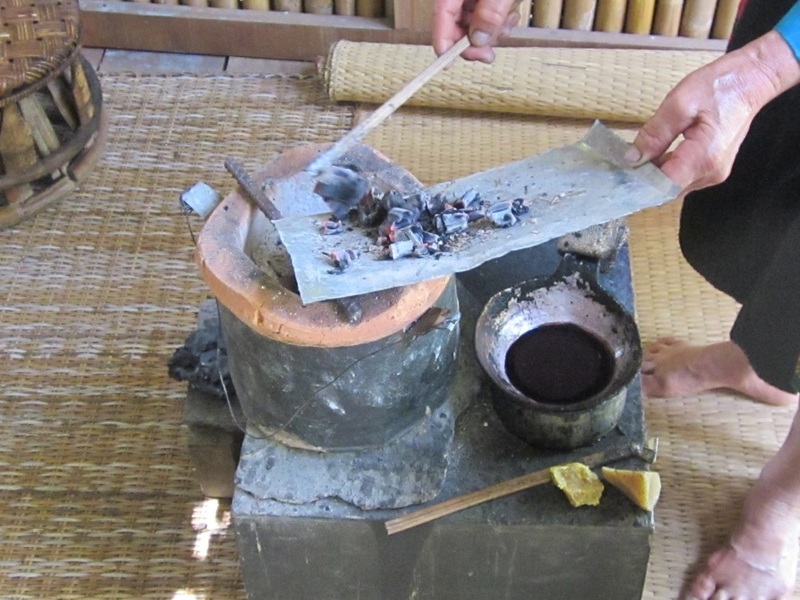 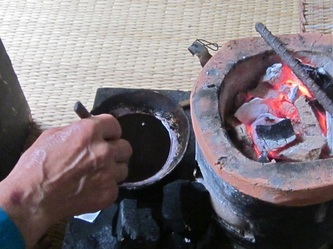 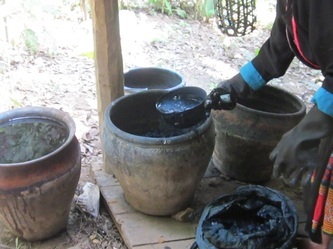 The reason I chose this subject is because only elderly people have the skill of using herbs and making medicine and young people, like myself, are interested and would like to learn too. 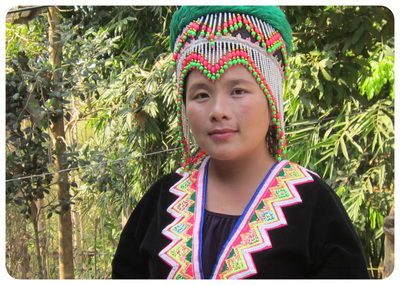 I hope people will learn more about Hmong culture and tradition from my project. 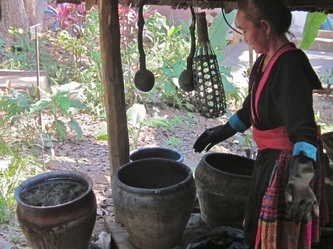 I also hope they have a better understanding of the different kinds of traditional medicines that the Hmong use to cure people and about the life of the medicine woman who is featured in my photographs and video interviews. 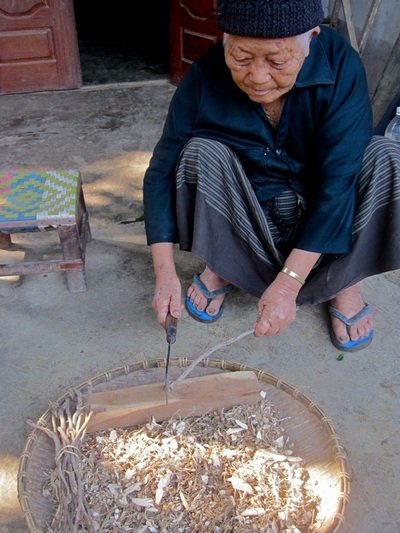 From my research, I have learned about many kinds of traditional Hmong herbs medicines and how each herb cures diseases. 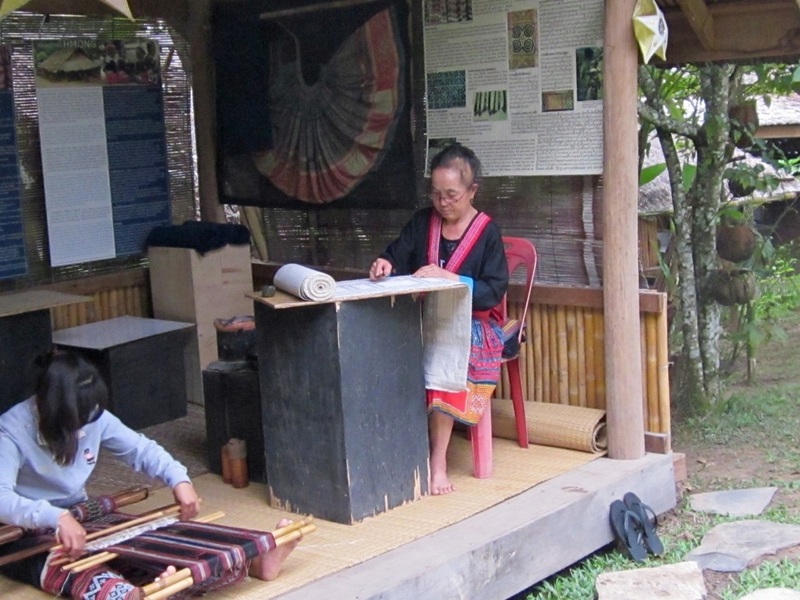 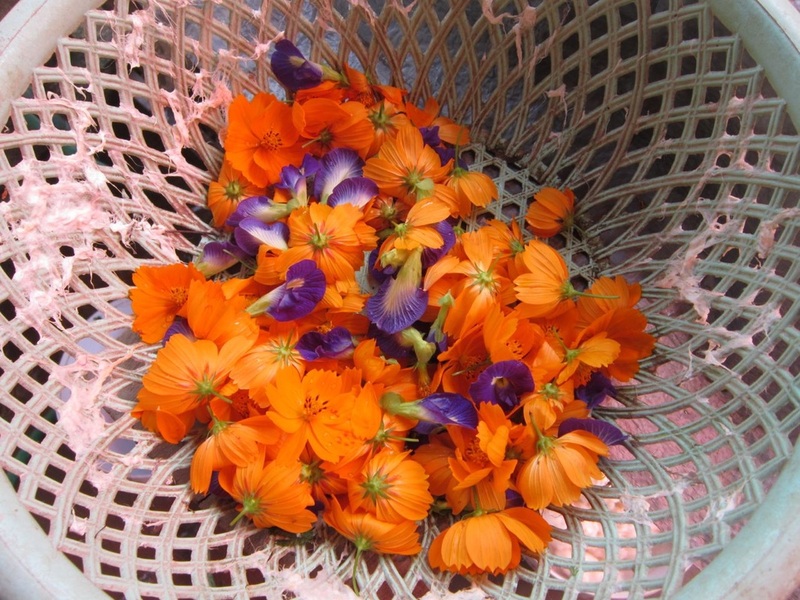 If tourists and visitors are interested in learning more, they are welcome to ask me." 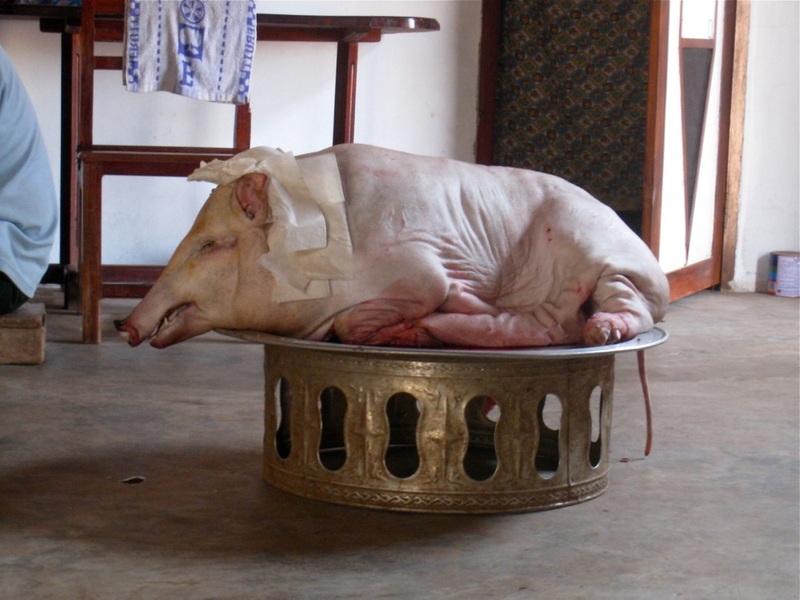 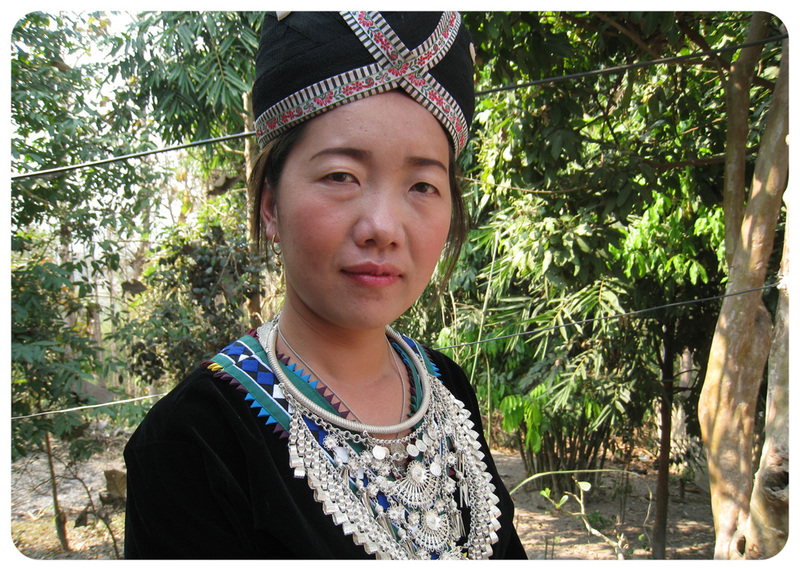 Vonmanee: "I am a graduate of Santiphab high school and a member of the Tai Lue ethnic group from Ban Phanom. My topic is childbirth customs with a focus on the Lao tradition of sitting by the fire during the first month after a baby is born." 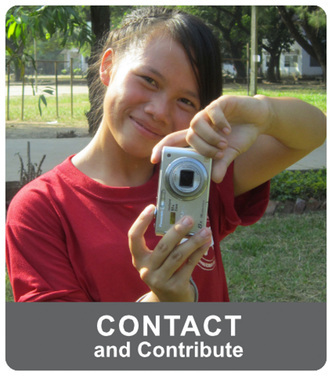 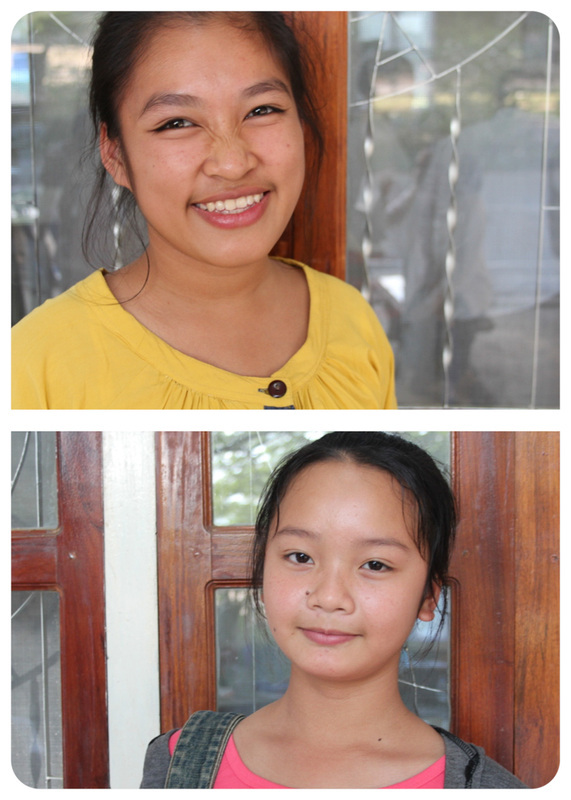 Vonvilath: “I am 14 years old and my research topic is the changing childcare traditions in Lao communities . 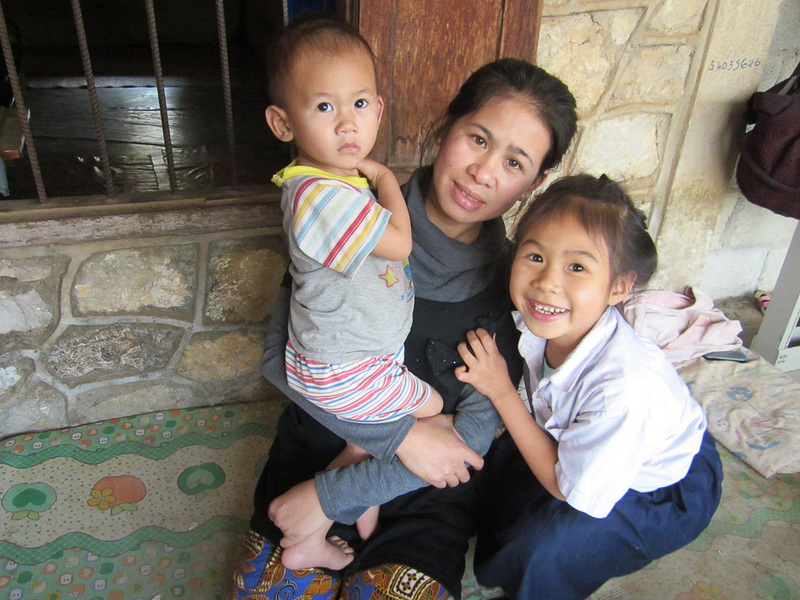 I hope Lao and foreign visitors who watch my video and see my photos will learn about the differences between childcare in the past and today." 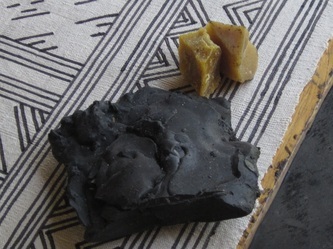 Vonvilath: “In previous generations, toys were made by hand themselves and the medicines and daily activities were connected to nature. 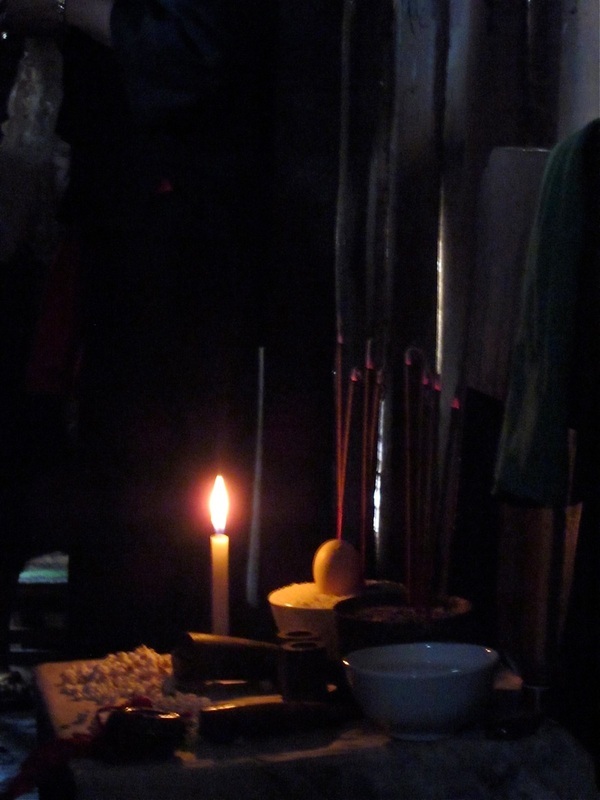 Today, many things have changed. Life is more comfortable and toys and medicines can be bought at the store. 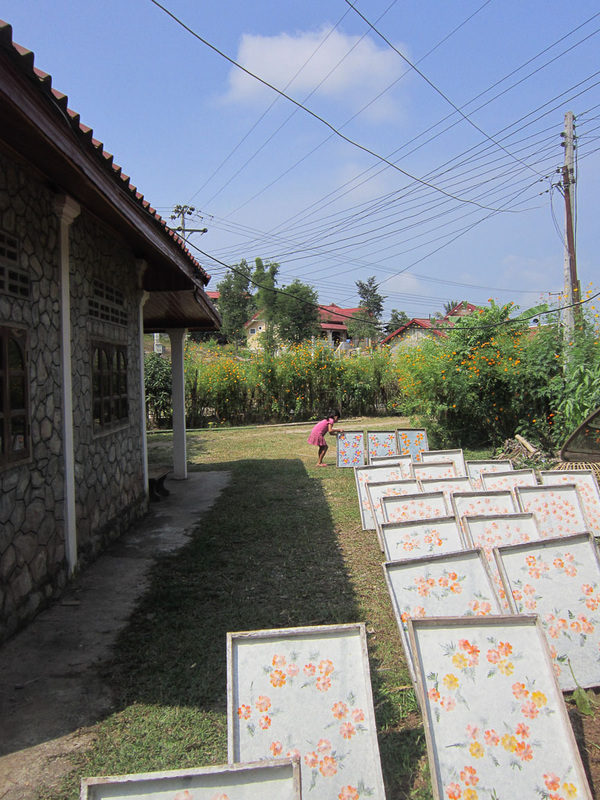 Some things are better now and some things were better before. 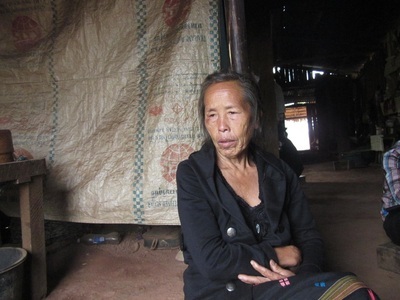 "I am a seller at the night market, and I live in Pouxang village, Luang Prabang. 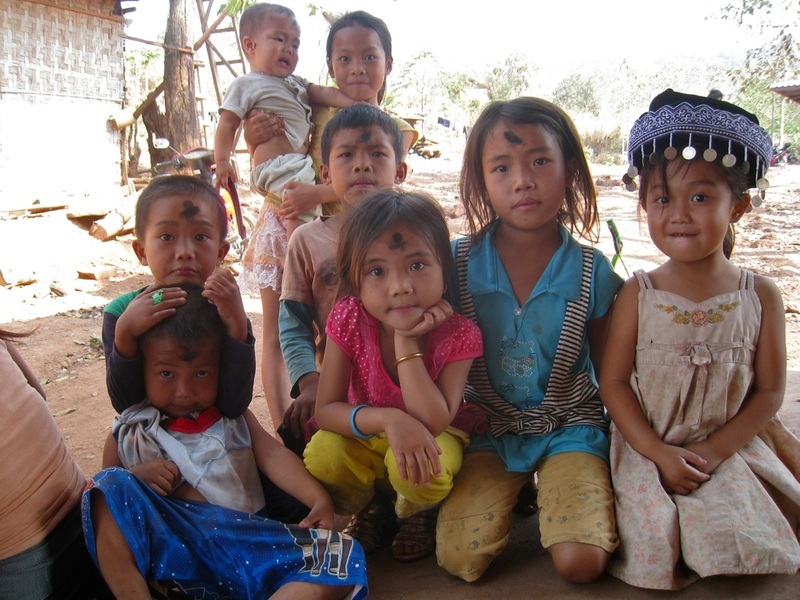 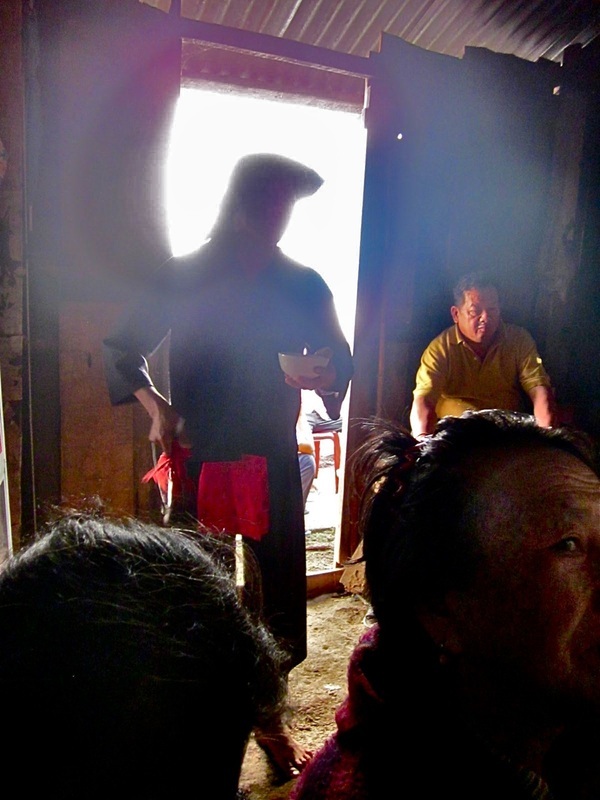 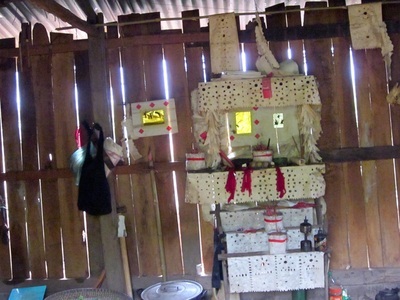 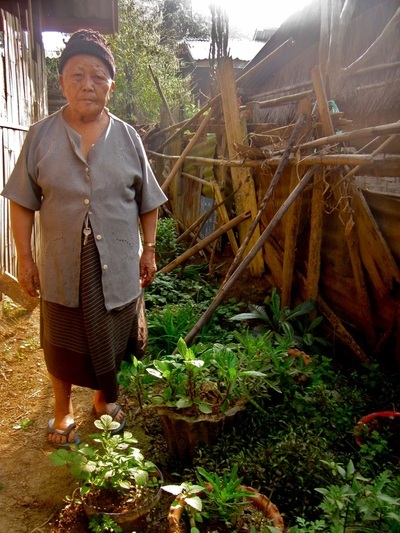 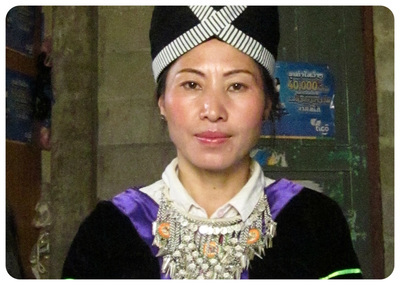 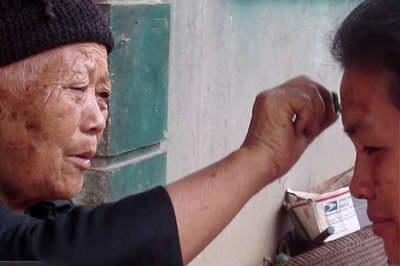 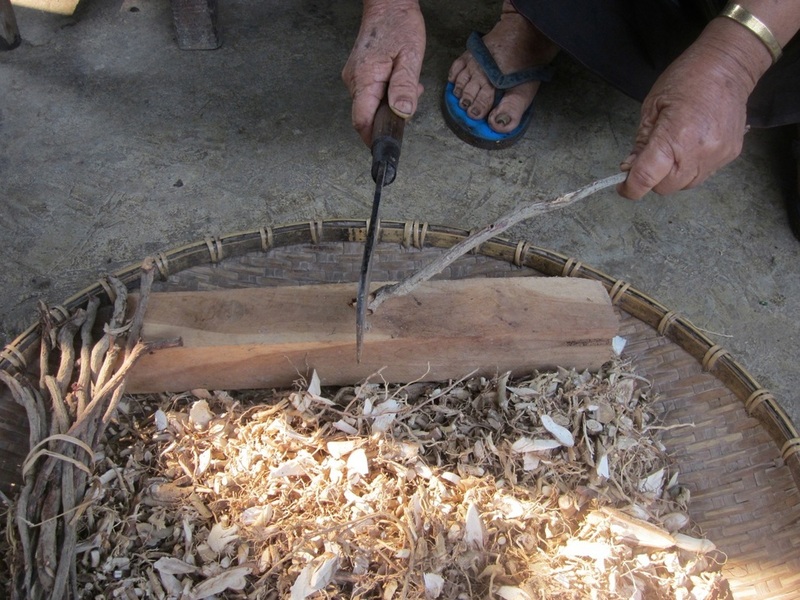 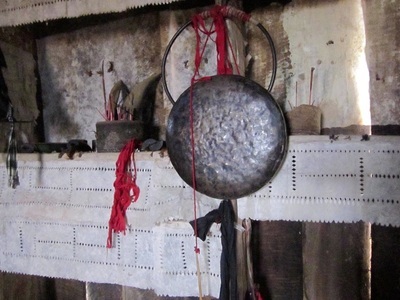 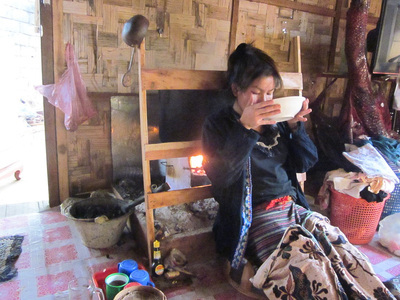 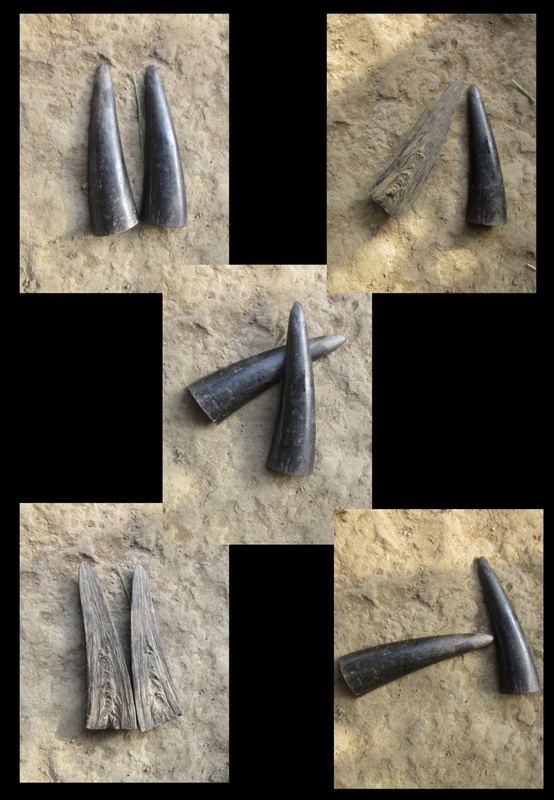 I chose to research Hmong Shamans because they play an important part in our culture. 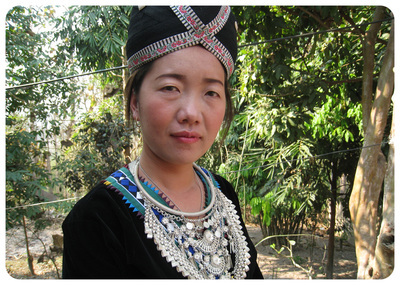 I hope my research will help people learn about Hmong culture and how it has been transmitted and preserved from the past. I am happy I was born into the Hmong ethnic group, and I want to tell other Hmong people to preserve our culture and traditions and learn from our elders who know our culture well."